Identifying a TJC coordinator in your agency or the community with the clout, independence, and fortitude to bring the right people together is the first step in the partnering process. A local reentry champion of the TJC model, such as the sheriff or the county commissioner, will select a coordinator and give him or her total support and cooperation to move the process along as well as some policy-level decision making authority. This person must have the necessary time to devote to moving this complex effort forward. The coordinator can be from a jail, the courts, probation, or a community setting; there is no one job title, position, or training experience needed to play this role. Determining the right person is dependent on local politics, history, and personalities.1 Often it is based on which organization has money for this position or is willing to add these duties as part of someone's job. Committed to the TJC model. Knowledgeable about the risks and needs of people transitioning from jail to the community. Interested in understanding current research or best practice. Personable, well organized, and a communicator with strong listening skills. Has the clout to get things done. Knows the community and its stakeholders. Respected by both internal and external staff of their home organization. Understands current policies and practices throughout the community related to reentry. Open to other organizational cultures and values. Able to facilitate a process. Believes in the capacity of incarcerated people to change. Identifying partnering agencies and community leaders is a key component to the success of the TJC model. You will find that some will be government agencies, but the majority will probably be agencies providing services at the local level. The long-term goal is for the agencies to form a coordinating reentry council, so including the right agencies and the appropriate agency representative is essential. Don't forget to include victims' advocacy groups such as Mothers Against Drunk Driving (MADD). Part of the long-term healing process for many victims and their families is knowing that inmates may become productive members of society. They want inmates to be held accountable for their actions when they return home. These groups recognize the importance of providing reentry services to facilitate their successful reintegration. You might be surprised at the level of cooperation you'll receive from victims' rights groups. It is also important to include the formerly incarcerated in this process, because they understand firsthand the barriers and problems facing this population. Those involved in this effort should be inmates with a long-standing record of doing well after release and not newly released offenders. Begin by making a list of all the government and nongovernment agencies and community-based organizations your agency presently works with to help transition people from jail to the community. 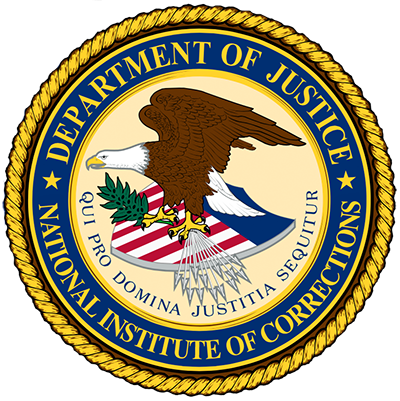 In Montgomery County, Maryland, the Department of Labor has set up a One-Stop Center in the jail. This allows the inmates to get the necessary job search and development skills needed prior to being released from the facility. Next, identify any other government and nongovernment agencies and community-based organizations that have contacts with the jail population pre- or post-release but which are not formally engaged in the transitional process. Police in your community may drop off suspects for processing at the jail's booking site but may not have any formal collaboration with the jail. Finally, identify the government and nongovernment agencies and community-based organizations that play a key role in meeting the risks and needs of the returning population but have no connection to the jail. The local community health care system often doesn't have a relationship with the jail. In step 2 you identified community partners and collaborators who have a direct or indirect role transitioning people from jail to the community. It is now time to begin a dialogue by reaching out to government and nongovernment agencies and community organizations to determine their interest in being part of a TJC partnership. The following steps will help you maximize the chance that they say “yes.” First, do your homework before you pick up the phone. Print a checklist for preparing to reach out to potential partners. Remember your goal is to develop a long-term relationship built on trust and respect. This takes time, so don't rush it. Many community stakeholders, particularly service providers, will be interested in being involved in a reentry initiative, though not all will want to provide services for inmates in the local jail. That is okay, and you should tell them that it is not a requirement to participate. More important is ensuring that their efforts to serve the reentry population in the community are coordinated with what is happening with these individuals in the facility and with the work of other service providers in the community. The key here is to coordinate efforts to meet their goals. Would you like to build a safer community by partnering with us? We can't afford to do business the way we have been doing it. We need a coordinated effort to solve the problem. We can't do it alone. We need to pool our resources in a more strategic way. We need to pool resources and coordinate our efforts. Partnering will improve outcomes for both incarcerated people and our organizations. Next, set up the first communication. Click here for more details. Remember that you may need a follow-up conversation by phone or e-mail before you think they are ready to commit to the TJC process. Tell them you are organizing a reentry implementation committee and would like them to be a part of it. Determine what is a good day and time for them to meet. Find a neutral location that is convenient for everyone. If possible, provide food for the first meeting. Use free online scheduling and conference web sites such as Doodle and FreeConference to help find a date on which everyone can agree. The first goal, after you have earned their initial support, is to bring the multiple stakeholders together, preferably over breakfast or lunch, to brainstorm about transition challenges in your community and how to develop an oversight reentry committee to oversee and guide the TJC process. The length and content of the agenda will depend on how much time you have at the initial meeting. The first TJC meetings in Lawrence, Kansas, and Denver, Colorado, each lasted two days, whereas other communities scheduled an hour for the first meeting. A question that always comes up is, “How inclusive should the coordinating reentry committee be?” Do not feel pressured to convene a large group at first. It is difficult to accomplish anything with 20 people at the table, representing different interests and different agendas; although Philadelphia had 44 members on its reentry committee and it worked for them. It often makes sense to start off small. If people ask why their agency was not invited—because word will get out—just say the decision was to start with the agencies and providers who have the most direct contact with those released from jail in the 30 days after release, but the reentry committee looks forward to involving all parts of the community eventually. Many other agencies can be involved on subcommittee and work groups on specific topic areas as the project moves forward. Welcome everyone to the meeting and briefly introduce yourself. Pass out a printed agenda, which you e-mailed to participants in advance. Explain why they are here: goals and organization of the TJC meeting. Use an icebreaker to help the participants get to know each other and feel more comfortable. Discuss what jail transition looks like in your community. Discuss what their expectations are for the meeting. Discuss what issues they would like to address during the meeting. Get specific: ask them to begin developing the mission and vision statement or discuss the barriers they see with transitioning people from the jail to the community. The Douglas County Corrections Division mission is to provide safe, secure, humane, and legal treatment for all inmates through direct supervision management concepts while fostering a safe and successful transition through interventions, programs, and services from the facility into our community. Ask the participants if they can meet once a month until there is a consensus on how a coordinated and collaborative reentry strategy can be accomplished in their community. Discuss the importance of reentry implementation committees and work groups. Ask for volunteers for each committee. Before the meeting adjourns, take the time to ask the partners to help you identify key roles, knowledge, and skills not represented in the current partner group. Ask them to name additional partners to bring in the missing elements identified. You will want to update your partner list every six months as implementation progresses. Make sure to finish with concrete next steps, people assigned to accomplish them, or a next meeting scheduled. It's important for new partners to leave with a sense that they have accomplished something and to have a clear understanding of how and when the work they've begun will continue. In the beginning, developing shared goals, principles, and outcomes of interest will be the main work of the reentry implementation committee. Start by creating a timeline of what needs to be accomplished. Drawing a stakeholder grid is an excellent exercise to identify local leaders, their relationship to the system, their interest, their power to affect system actions, and their alignment with the TJC model. In essence, you are teaching key stakeholders how to have this discussion at the system level while gauging interest or authority to implement or block change. Your goal is to engage stakeholders through a variety of exercises and actions outlined in previous sections and then identify the level of power and interest each organization and agency has in transitioning people from jail to the community. This is a useful exercise to assist in systems-level discussions and to understand various influential leaders who exist within your system. 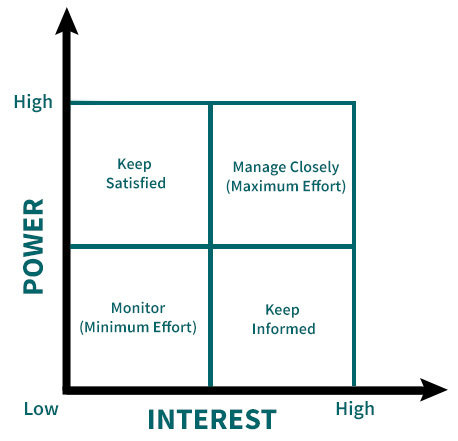 Below is an example of a stakeholder grid. We have listed different stakeholders below. Think where each one of them fits in your jurisdiction. Keep Satisfied: Stakeholders who fall within this square are those who have a lot of power to influence criminal justice system practice or change, but have little interest in changing anything. Manage Closely: Stakeholders who fall within this square are those who have a lot of power to influence criminal justice system practice or change and have a lot of interest in or desire to change current criminal justice practice to obtain improved outcomes. Monitor: Stakeholders who fall within this square are those who have little to no power to influence criminal justice system practice or change and little to no interest in changing anything. Keep Informed: Stakeholders who fall within this square are those who have little to no power to influence criminal justice system practice or change; but have a lot of interest in or desire to change current criminal justice practice to obtain improved outcomes. By doing this exercise in a group setting, one is able to identify the organizations that have a high interest and power in the TJC model and learn what motivates them, while also identifying those organizations with low interest. It is extremely important to note that no stakeholder should be excluded from participating in TJC implementation activities because of their levels of interest or power. The purpose of this exercise is to understand the different motivators for and against change within your system and to allocate resources and make determinations relative to communication and engagement strategies. Accordingly, dialogue should ensue about what it takes to engage people within the TJC effort, from empowering the low-interest and low-power organizations to understanding and managing differences that high-power stakeholders have with the TJC approach. “Tape four flip chart sheets to a wall to form a single surface two sheets high and two sheets wide. Draw the two axes on the surface using a marking pen. The vertical axis is labeled interest, from low to high; while the horizontal axis is labeled power, from low to high. Planning group members brainstorm the names of stakeholders by writing the names of different stakeholders as they come to mind on a 1?×1-1/2? self-adhesive label, one stakeholder per label. Guided by the deliberations and judgments of the planning group members, a facilitator should place each label in the appropriate spot on the grid. Labels should be collected in a round-robin fashion, one label per group member, until all labels(other than duplicates) are placed on the grid or eliminated for some reason. Labels should be moved around until all group members are satisfied with the relative location of each stakeholder on the grid. This Japanese proverb sums up the importance of taking the time to develop a mission and vision statement. The mission and vision statement needs to appeal to all of your constituents. The guiding philosophy behind the council's formation. Goals of the of the reentry committee. Value the reentry committee adds to the community. Outcomes of a successful reentry committee. Which offenders are your highest priority? What programs, services, and support do you want to provide to them? Where does reentry take place and for what duration? Who are the partners in the community—including government agencies, nonprofits, and the business community—that could play a helpful role in your reentry strategy? Click here for the complete operational overview of the Dutchess County, New York, Criminal Justice Council. State the purpose for developing a reentry committee. Describe what the reentry committee plans to achieve. Explain the reentry committee’s commitment to transitioning people from jail to the community in the most effective and efficient manner. Describe the commitment to evidence-based policy and practice and how this commitment will result in the continual improvement of criminal justice practice. Remember that long-term public safety is always the main priority, so a good mission statement not only states the purpose, but also addresses how it can be accomplished. For example, reduce recidivism by preparing inmates to make a successful transition back to the community. What is the reentry implementation committee's mission? How does the reentry implementation committee plan to operationalize its mission? One of the first priorities of the reentry implementation committee is to identify the present resources (financial, human, and technical) in place to support the TJC model. You need a picture of how people move through the jail, from intake to discharge, and the transition back to the community. In the next module, Data-Driven Understanding of Local Reentry, we discuss in depth how this is accomplished. The purpose this step is to briefly describe to you common performance measurements that will help the reentry implementation committee maintain accountability for its goals. For a more comprehensive discussion see the Self-Evaluation and Sustainability module. Determine if resources should be reallocated. Identify goals and objectives consistent with the mission and vision statements. Identify strategies, activities, or programs necessary to reach your goals and objectives. Determine the short-term results or outcomes you want from each strategy, activity, or program. Determine the intermediate results or outcomes you want from each strategy, activity, or program. Determine the long-term results or outcomes you want from each strategy, activity, or program. Identify ways to measure each result or outcome (performance measures). Does each performance measure relate to the associated mission, goal, and objective? Is each performance measure important to the executive-level reentry council and the reentry implementation committee? Is it possible to collect accurate and reliable data for each performance measure? Taken together, do the performance measures accurately reflect the key results of the strategy, activity, or program? Is there more than one performance measure for each goal or objective? Carter, Madeline. 2005. Collaboration: A Training Curriculum to Enhance the Effectiveness of Criminal Justice Teams: Instructional Manual, This curriculum is designed by the National Resource Center on Collaboration in the Criminal and Juvenile Justice Systems to assist multidisciplinary criminal justice teams in establishing or enhancing collaborative relationships. 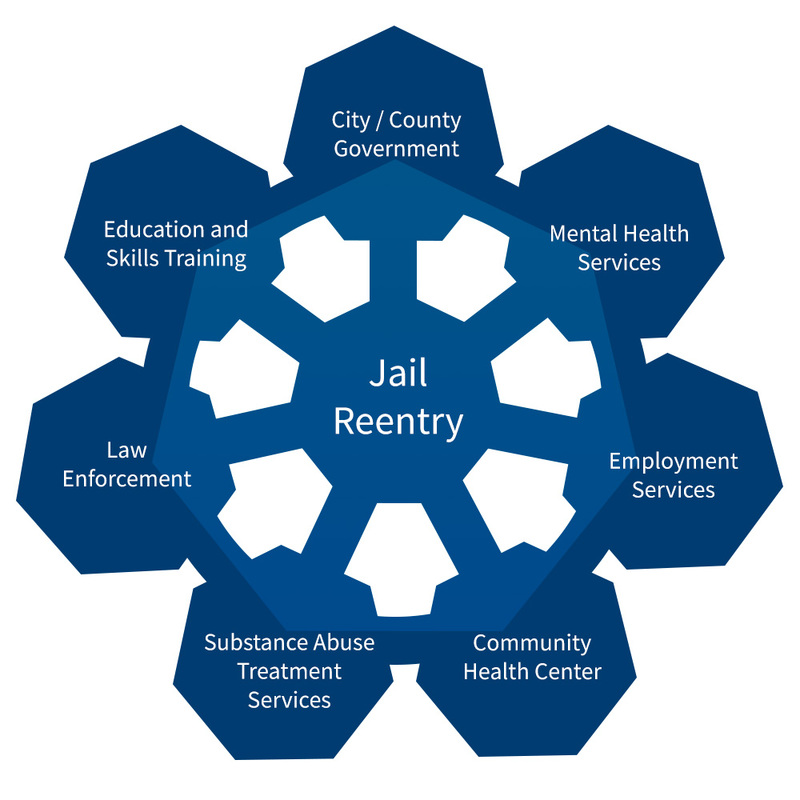 The Council of State Governments Justice Center’s Reentry Policy Council Report focuses on planning a reentry initiative and is very detailed and helpful. Missouri Reentry Process (MRP) Local Team Starter Kit. 2006. A great source to read before you develop and host your first reentry council meeting. This 23-page reentry council starter kit provides easy-to-use tools, ideas, and suggestions on facilitating your meetings and discussions. The appendix is particularly helpful, including such items as minutes and outcome templates and brainstorming tools. Montero, Gabriel. 2007. Mapping the Universe of Reentry. The New York City Discharge Planning Collaboration. This report discusses how a group representing nearly 40 organizations with a stake in transitional planning came together to form the collaboration. New York City Jail Reentry Project Organizational Survey. This survey can help your community gain a better understanding of the collaboration and coordination of organizations; what the positive and negative concerns may be; and what kinds of relationships work best. Restoring Hope through Community Partnerships: The Real Deal in Crime Control, published by the American Probation and Parole Association, Lexington, Kentucky. This handbook is one of the best guides on developing community outreach, with many examples and templates. Denver. Reentry Committee monthly progress report and agenda. Douglas County, KS Sheriff’s Office 2010. Sample agenda and minutes for small jurisdictions. Douglas County, KS. A detailed list and description of TJC partner organizations. Kent County, MI. TJC stakeholder contact information. Kent County, MI. A detailed list and description of TJC partners, their resources and contact information. San Diego, CA. The San Diego Reentry Roundtable overview. A detailed listing of the collaborative partners participating in the San Diego County, CA TJC initiative. Let's revisit what we have learned so far in the Collaborative Structure and Joint Ownership module. Please answer the following questions. 1. Key stakeholders to include could be your local police, mental health agencies, and victim advocates. 2. The reentry implementation committee should include as many different agencies as possible to incorporate all viewpoints. 3. Communities become unsafe when transition clients with high risks and needs are not supervised and supported in the community. Resource and training costs can be shared between agencies. Fewer formerly incarcerated people will be a public health burden. High cost inmates can be released earlier. Incarcerated people will pay for their room and board. 5. Finding the right TJC coordinator depends upon identifying someone who has the clout to get things done. Now that you have completed this section, you should understand the steps you need to take to initiate a reentry implementation committee. You understand that you will need to identify a TJC coordinator, who has institutional clout and a “can do” attitude. You have tools to identify potential partner agencies, both from the agencies with which you are working and from other agencies. You can describe the structure of your first TJC meeting, and you recognize the importance of sharing goals, principles, and outcomes of interest. You know how to develop a mission statement to describe the purpose of TJC and detail what you hope to achieve.